Not getting the quantity and quality of leads you need to grow your business and feed the sales team? Close enough is not good enough, you need to be spot-on with your messaging, engaged with your customers and generating content they will find relevant and useful to generate quality leads. 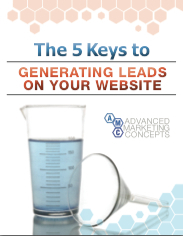 In this whitepaper we will explore the 5 essentials for inbound lead generation.